In a matter of mere days, yours truly is going to be a Stay at Home Dad....albeit temporarily. True, In effect I will simply be on Paternity Leave for a few weeks, but the important thing to note is that I will be the primary care giver for Annabelle, who has yet to make it home from NICU. Of course I want to Super Size the Formula! A few years ago - let's just throw out, oh I dunno....6 as a random number - the simple thought of such an assignment would have terrified me beyond compare. But now? I am non-plused. Along with Mrs. LIAYF and Lukas I have been spending quite a bit of time at the hospital rocking, feeding, changing and calming Annabelle. And I have been doing a decent job if I do say so myself. There have been no signs of panic during those times when my little girl gets seriously upset and I have to try different tactics to calm her. For example, just yesterday such a scenario unfolded while I was all alone with my girl. The nurse who was unfamiliar to us took one look at me and rushed over to lend a hand to the fumbling dad. However, I calmly made eye contact and told her "I've got this" while simultaneously turning Annabelle and beginning a rhythmic soft patting of her behind. It was a seriously smooth move people. I think I even gave one of those cool head nods. You know the kind. To Annabelle' credit though, she calms easily. Thankfully she seems well dispositioned that way. I'm crossing my fingers that trend continues. But, given all this I am seriously at times treating this like it will be a piece of cake, which honestly worries me a slight bit. Have I repressed the memories of the effects that a lack of sleep will have on a new dad who is on the wrong side of 40? Am I forgetting how quickly a fairly well put together adult man can devolve into a slothenly, unkempt, walking zombie of a dad with bags under his eyes chugging coffee straight out of the decanter to keep sane? Am I fooling myself into believing that I will sail through this time along with my brand new daughter? Probably. But it's certainly nicer this way. And hey, I survived the early months with Lukas didn't I? Didn't I? Darn right I did. I don't remember them very well, but I did survive. That I am fairly certain of. Of course writing this all down is kind of bringing back some of those memories. The picture perfect moments have been what I have mostly remembered from those days, but making jokes about being tired has had the strange effect of flooding me with those memories once again. Suddenly, I am not so confident that it will be smooth, or easy for that matter. Still, I not going to freak out at the thought. I just need to continue to tell myself one simple thing. One thing that fake it till they make it folks convince themselves of all the time. The LIAYF family are very thankful that we were able to spend the afternoon with Annabelle, who is still at the hospital but doing well. We took the nurses a stack of pumpkin pies with real whipped cream today. It never hurts to be on the good side of the hospital staff, plus they are wonderful human beings. And the best news it that it looks like we will be bringing her home soon. This video was obviously shot with my camera phone. I'm sure you will enjoy the old school quality and grainy effects. In reality though, it's the casting that makes a film watchable. Enjoy. Like ours, I hope your Turkey day was filled with things to be thankful for too. Lukas is already showing that he is going to be a terrific big brother to Annabelle. In addition to all the hugs and kisses he has bestowed upon her tiny little body, there have been other things too. For instance, in an apparent attempt to bond with his new sister, who has zero teeth yet, he went and lost one of his own Wednesday! How is that for showing love? Acutally, Mrs. LIAYF and I have know for a while that the tiny chunk of enamel was about to go, as he has been wiggling it around for a couple of weeks now. And we have been keeping him on guard too, reminding him daily that if it falls out to save it by any means necessary. That strategy paid off Wednesday morning as his mother woke him up. His first words were "What?, Wait!" before sticking his tongue out with the tooth sitting on top. When I shared the news on Twitter today, I got a reply from my buddy and fellow Seattle Dad Blogger Daniel over at Post Post Modern Dad, who indicated that his 5 1/2 year old son also lost his first tooth that same day! What are the odds of that? Lukas, however, fared a bit better than his toothless counterpart, who I am told actually LOST his tooth, probably swallowing it. Poor little guy. Never fear though, as Daniel relayed a plan to trick the tooth fairy. I can't wait to find out how that went. When we told Lukas about Daniels son losing his tooth, he genuinely felt bad for him, even making a super sad face. So, to make him feel better we explained what the tooth fairy would have to do to recover that particular tooth. We dubbed that fairy 'The Poop Fairy'! That, of course, made Lukas laugh and feel much better. 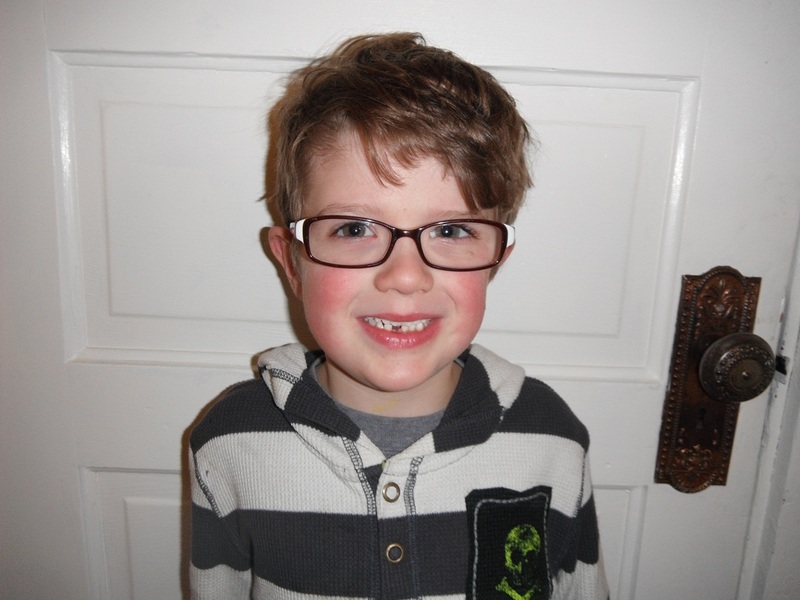 Speaking of the Tooth Fairy, a few days ago Lukas came home from school and announced to us that "Holden said the Tooth Fairy gave him $100 for his tooth!" We, of course, were flabbergasted at the notion. "When you lose your tooth we are taking it to Holden's house" I let him know with a smile. "He's either mistaken, or his fairy is better off than ours". What does a tooth actually go for these days? We wondered that as well, so Mrs. LIAYF turned, or course, to the Interwebz for an answer. Any guesses? If you guessed that I commend you. And, I want to talk to you about picking some lucky numbers for me. As for Lukas? His wasn't exactly the High Rolling fairy that "Holden" had, but neither was she the $1.88 Super Saver fairy either. 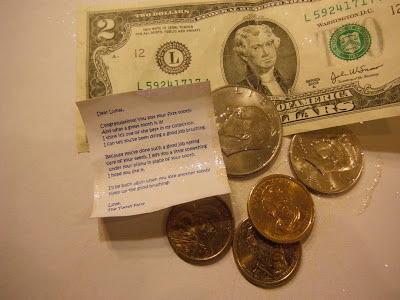 Rather, she was the perfect Fairy for Lukas, leaving him an assortment of interesting coins and even a $2 bill. Oh, and she left him a nice little note too. Yes, our Tooth Fairy Rocks. What Has 8 Legs and Protects Daughters? As a first time father to a new baby girl, I am already hatching a plan to ward off would be suitors when I finally allow Annabelle to date 30 or so years from now. Sure, my first inclination was to immediately drive out to my nearest Big 5 Sporting Goods store and purchase that tried and true symbol of fatherly protection - the 12 gauge shotgun -which has undoubtedly served it's purpose for countless teeth gritting dad's over literally hundreds of years. 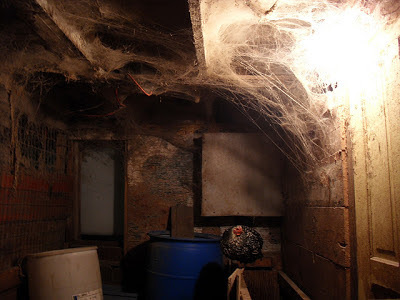 So, of course I next thought of Spiders. My internal conversation was something like "Spiders!! Brilliant. Yes, that would be perfect. Spiders!!" Allow me to explain. Back when I was starting High School I had a sister who was 2 years older than me and beginning to date. In fact, I still have her but she is well past the dating age now, being happily married for 27 years. But back then she would bring a her potential boyfriends home to hang out and meet our parents. We grew up on the family dairy farm, which my father and brother still operate today, and actually owned a couple of shotguns at the time. But did my dad ever try to intimidate these boys with a gun? Nope. He used spiders. Yes, spiders! 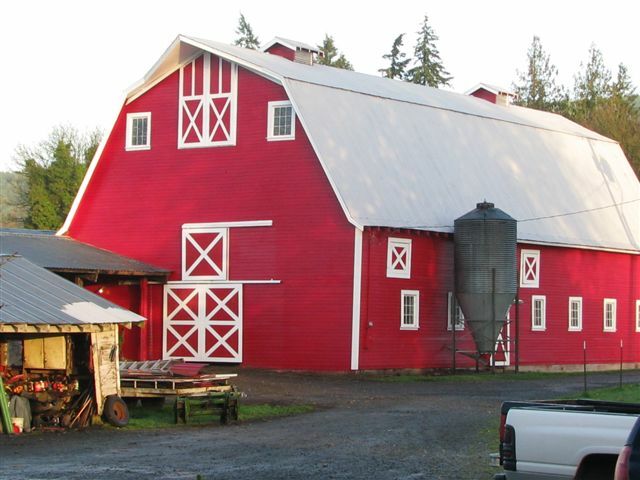 You see, the farm has a signature old red barn with high ceilings built by my great grandfather back in 1922. The ceilings are the floorboards of the hay loft above, and in the rafters of that ceiling the spiders have been spinning webs since the beginning of time itself. That would be 1922 for purposes of this story. 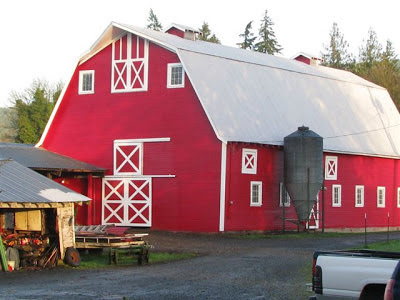 It was in that old red barn that my dad would send these boys, armed with a pair of goggles, a broom, and instructions to clean out the layers of ancient cobwebs. This was surely the nastiest job ever invented, and few survived more than a few minutes at it before deciding it was time to go home. Brilliant! Not the actual inside of the barn, but you get the picture. Now, I don't suppose I would drive any of Annabelle's potential suitors an hour and a half south to the farm when the time comes, but....I am thinking that if I gather enough large spiders, release them into my garage, then lock the door for a couple of decades, I just may have a pretty decent deterrent for any punk who thinks he is good enough to date my little girl. Ha! With that said, there will be no more smashing in my house. We will henceforth always use the cup trick to cover, catch, and release our eight legged friends into the garage. Sure enough the boys will come in a few years. But when they do this dad will be ready for them, complete with a pair of goggles and a trusty broom. Annabelle - 1 day old. You may have noticed that I have been absent here for a spell. Sorry for that, but I have been a bit pre-occupied as of late. Mostly the normal stuff. You know, work, household chores, taking care of a 5 year old, errands, and the like. Oh, and then there is the part where I am also a Father once again. Did I mention that one? No? Well, I probably should get to it already. 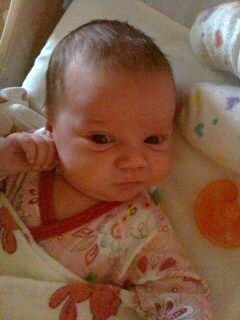 Our newly adopted daughter, Annabelle, was born last Tuesday the 30th of October at 4:05 PM Pacific Standard Time. She weighed 7 lbs 1.9 oz, and was 19.5 inches long. She has dark brown hair, and when she opens her eyes they are a heavenly shade of blue. The finalization of the adoption is still a ways off, but just a formality. Mrs. LIAYF and I gained custody of our daughter Friday afternoon as our attorney pretty much raced through the streets of Seattle, diving through the closing doors of the local courthouse in order to get the matter onto the docket. He's awesome that way. This was a good thing, because we were holding off on telling Lukas until we knew the decision was final. When he found out he was over the moon, rocking his new sister for nearly an hour, feeding her a bottle, and showering her with kisses. The torture will have to wait a few years. Baby Annabelle won't be coming home quite yet, and will be staying at the hospital for while, which will actually give Mrs. LIAYF and I time to get some of our ducks in a row for her arrival. But, bottom line: She is ours to keep. She is ours to love. She is ours to raise in a loving home filled with laughter and passion and compassion and curiosity and wonder and a generous spirit. And we couldn't be more thrilled! I also wanted to say a big thank you to everyone who wished us well, gave us words of encouragement, commented here on the blog, or posted our adoption badge on their own website. That has meant a lot.